Rick Bergstrom obtained Orders granting summary adjudication and denying class certification on behalf of Morton's of Chicago in a putative wage and hour class action brought by hourly restaurant employees. He obtained a multi-million dollar verdict and order restricting competition in a theft of trade secret case against a former vice president of research and development. Bergstrom also testified before Congress concerning the impact of the United States Supreme Court's decision in Garcetti v. Ceballos. Consistently listed in Chambers USA, Super Lawyers, PLC Which Lawyer?, and The Best Lawyers in America, Bergstrom's practice focuses on complex litigation matters in federal and state courts, including wage and hour class actions, trade secret litigation, and whistleblower claims. Bergstrom has tried major employment cases, including multi-week jury cases, defeated attempts to certify wage and hour class actions, and obtained preliminary injunctions restricting the competitive activities of former employees. He also counsels companies on various topics including wage and hour issues, unfair competition, trade secrets, privacy, outsourcing, terminations, employment agreements, accommodating disabilities, leaves of absence, and employment policies and procedures. 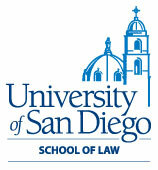 Bergstrom is a member of the Pepperdine University Alumni Association and the Labor and Employment Law Section of the San Diego County Bar Association. He frequently lectures to management groups and conducts in-house workshops regarding compliance with California and federal laws. 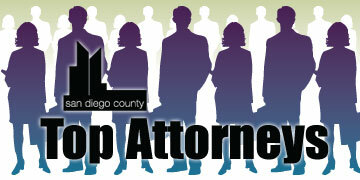 He also develops, reviews and implements personnel policies for local, national, and international companies. He co-authored “United States: Supreme Court Rules That FLSA’s Anti-Retaliation Provision Covers Oral Complaints”, published in March 2011. Personal Affiliations Bergstrom is a founding member of the Elders Board at The Wave Church in Carmel Valley. Personal Background Bergstrom and his wife Kim have three children (Samantha, C.J. and Matthew), and they live in Carmel Valley. When they are not working and the kids are not in school, the Bergstroms can most often be found wake boarding at Lake Mojave.